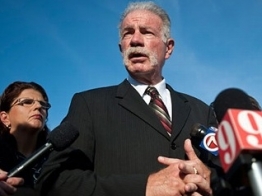 Evangelical leaders strongly condemned the burning of Qurans by Florida Pastor Terry Jones on Saturday in protest of Iran‘s continued imprisonment of Pastor Youcef Nadarkhani. Jones burned copies of the Quran and an image depicting Muhammad on Saturday evening in front of his church Dove World Outreach Center in Gainesville, Fla., where about 20 people gathered to witness the event, OCALA.com reported. Gainesville police were stationed near the church and patrolled the area. The event was streamed live over the Internet. Gainesville Fire Rescue issued the church a citation for violating the city’s fire ordinances. Fire Chief Gene Prince was quoted as saying that Jones had approval for a burn but did not have the required authorization to burn books, which can harm environment. The fine is $271, which includes court costs. (Reuters) – Protesters trying to march to the heart of Bahrain’s capital clashed with riot police on Friday, witnesses said, hours after a massive show of force by the mainstream Shi’ite Muslim opposition. They said dozens of youths threw stones at police who used teargas and stun grenades to block the planned march to the Pearl roundabout, the centre of an uprising last year which the government suppressed with the help of troops from neighbors, including Saudi Arabia. 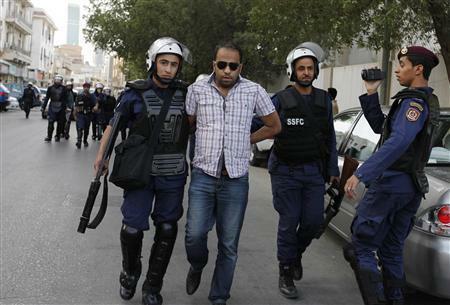 Bahrain, where the Sunni Muslim Al Khalifa family rules over a majority Shi’ite Muslim population, has been in turmoil since an uprising erupted last year demanding reforms after successful revolts in Egypt and Tunisia. The protests escalated ahead of last week’s Formula One Grand Prix, drawing criticism of Bahrain from some governments, rights groups and media watchdogs who say police use excessive force and the government should find a political solution. 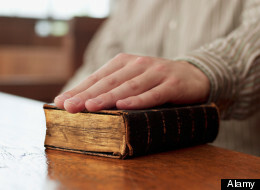 One of the largest Bible translators in the world is undergoing an independent review after critics claimed language in some of their translations intended for Muslim countries misses the essential Christian idea of Trinity: the father, son and the holy spirit or ghost. Critics argue that using words like “Messiah” instead of “Son” and “Lord” instead of “Father” badly distorts the doctrine, in which God is said to be one being in three persons. “If you remove `son,’ you have to remove `father,’ and if you remove those, the whole thread of the scriptures from Genesis to Revelation is unraveled,” said the Rev. Georges Houssney, the president of Horizons International, a Christian organization that works extensively with Muslims and himself a translator of the Bible into Arabic. 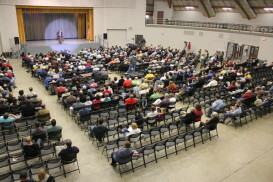 With the big-name draw of Walid Shoebat, more than 200 people gathered at the Waukesha Expo Center Saturday night to hear the message that Islam is a growing threat to law and peace in the United States. The rally was an especially strong draw for Brookfield residents who oppose a mosque proposed for the city by the Islamic Society of Milwaukee. Shoebat, who says he is an ex-terrorist, has been confronted about his past by media outlets like CNN, who reported they could find no evidence to support his background story. But he stood by his case Saturday, saying the media were the real frauds. “Heck, sometimes even FOX News doesn’t even like what I have to say, because I say Islam is not a peace-loving religion,” Shoebat told the crowd. Brookfield residents Chuck and Sharon Bloom left the rally Saturday with a plastic bag full of books sold by VCY America, a Christian radio station that sponsored the event. The couple was hoping to learn more about Islam and to build a case against the proposed mosque. 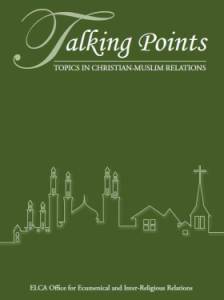 Will Muslim-Christian relations improve with a new president in Egypt? The religious freedom for Christians in Egypt (Copts) and other religious minorities hangs in the balance as Egyptian voters prepare to select a new president on the weekend of May 23-24. This is the first open presidential elections in a generation. If voters favor a hard-line Islamist as president, existing religious freedoms are at greater risk. At least one moderate candidate favors less state involvement in religion. Right now, the two major contenders for the presidency are Amr Moussa, belonging to the old guard around former President Mubarak, and Abdel-Moneim Abol Fotoh, an Islamist with roots in the Muslim Brotherhood. Until mid-2011, Moussa was Secretary-General of the Arab League and is widely recognized as an establishment figure. His hard-line criticism of Israel has proven to be popular in Egypt. 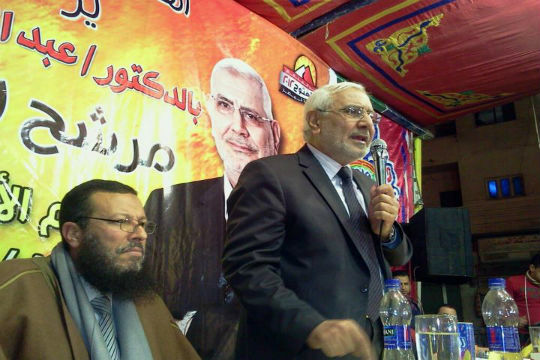 Abol Fotoh, a political moderate, quit the Muslim Brotherhood in 2011 after decades of involvement in order to run for president. In the late 1990s, Abol Fotoh spent five years in prison for his political activism. In the past week, popular resentment in Egypt exploded when the Election Commission disqualified 10 candidates, including three well-known and controversial figures: Khairat al-Shater (Freedom Justice Party, Muslim Brotherhood); Omar Suleiman (former vice president and spy chief under Mubarak); and, Hazem Abu-Ismail (an ultra-conservative Salafist). This week, Shater alleged that the commission’s move was an attempt the rig the election. (CNN) — The trial of mass murderer Anders Breivik has confirmed one thing so far: He seems quite mad. Looking plump and dumb, with a slightly receding hairline, the Norwegian gave a right-wing salute as he entered the courtroom and smirked his way through CCTV footage of his handiwork. 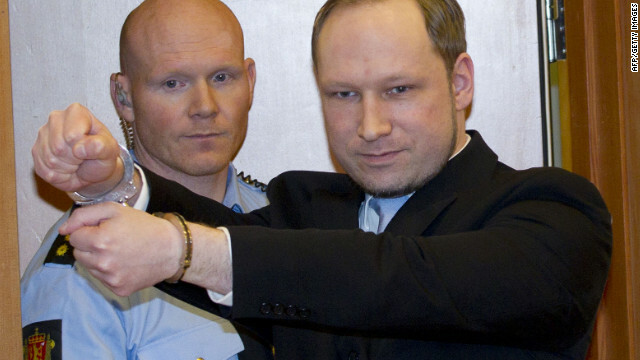 Breivik claims that he killed 77 people as an act of self-defense against the Islamification of Norway, that he is a member of the Knights Templar and part of an “anticommunist” resistance to multiculturalism. Reading his insane manifesto, it is tempting to dismiss him as a nut with a gun. Nevertheless, there’s no denying the political context to what Breivik did. Since 9/11, fringe and mainstream politicians in Europe and America have spoken of Islam as incompatible with Western values. Breivik quoted many of them in his manifesto. This is not to say that he took direct inspiration from those public figures, or that they bear personal responsibility for his crimes. But Breivik’s paranoia does conform to a popular — wholly negative — view of the twin problems of Islam and multiculturalism. Tragically, it is a view that few mainstream politicians have been willing to challenge.